Last month we decided to change things up a bit and planned for a free read. With a summer filled with travel, swim lessons, and camps we wanted our reading to be just as carefree as summer is. Here's what's been gracing our night stands and filling our diaper bags this last month. I'm what is known as the slow reader of our duo. Or rather I just don't make the time to read, but when I get into a book I really love it! 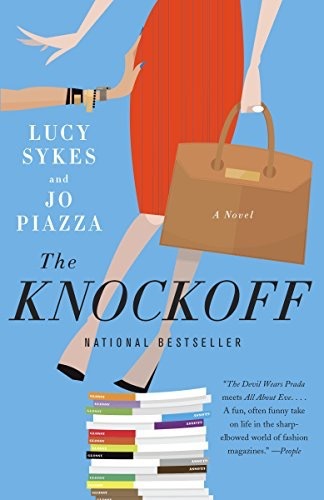 This month I read The Knockoff by Lucy Sykes and Jo Plazza. Jen had passed it on to me after she got done reading it and I really loved it. It gave a great insight to the world of fashion magazines and also tackled the issue of digital and tech everything competing with the "old school" way of doing things. 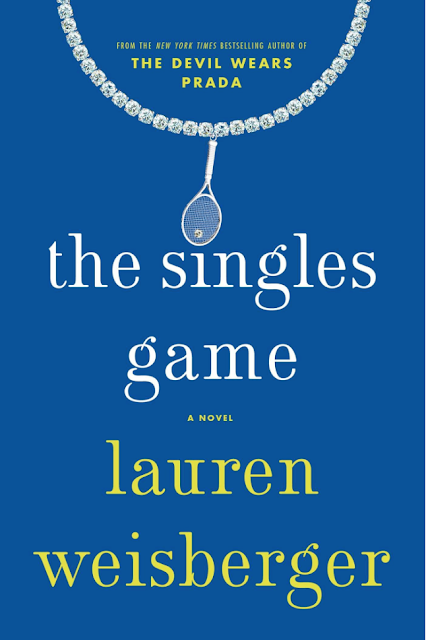 It had me cheering for the main character as she figured out and learned her way around social media and the online world. It's a great fun, girly and easy read. Last month, even amongst all the chaos going on I was still able to sneak in two books. The first one I read was The Last Original Wife by Dorothea Benton Frank. This was a total cover purchase. I saw beach and went right for it. Surprisingly it had very little to do with the beach. 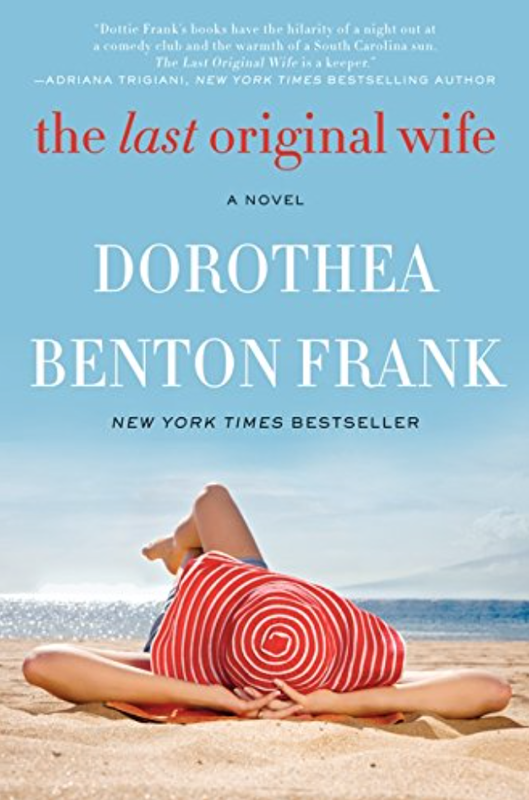 The Last Original Wife is based in Atlanta (wahoo!) 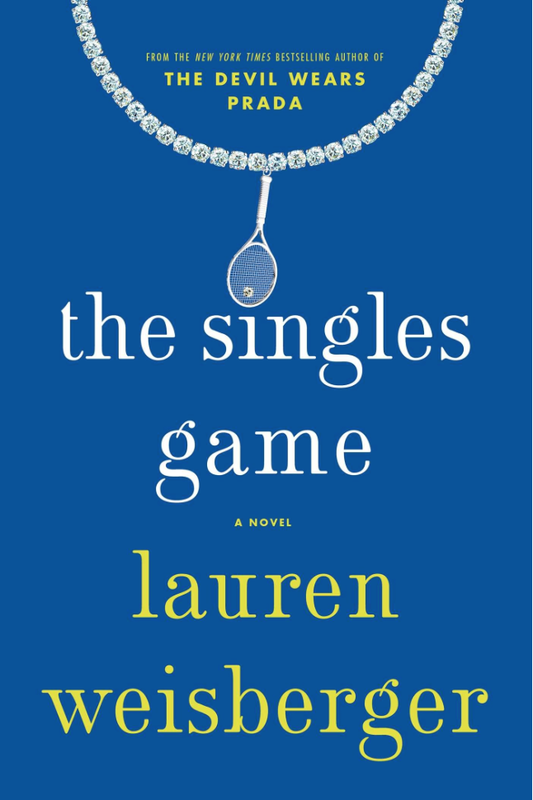 and follows Leslie Carter as she realizes her marriage might not be all that its cracked up to be. After falling in a hole (literally!!) she decides to shake things up and move in with her brother in Charleston. Here she runs into her first love, and lives it up with her brother's furry side kick. I loved the humor and Southern sass throughout the novel and most definitely look forward to reading more from Frank. The One That Got Away by Leigh Himes was the second book that I read. This was one that I grabbed on a whim before I went out of town. I had never heard of the author, but when I saw a recommendation from Nicholas Sparks I was in! For the most part I read this at our family cabins and in the hospital. It was a quick and easy read, and and gave me just the escape I was looking for. 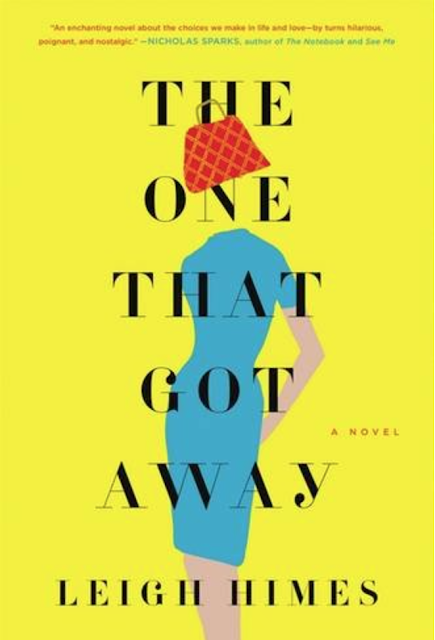 In The One That Got Away you meet Abby Lahey - over worked, tired mommy of two. She returns something to Nordstrom and after an unfortunate accident while shopping, she wakes up to discover she is uber rich and polished Abby Van Holt. This book was so fun to read. Kind of a little bit fantasy, and filled with a ton of humor, but I loved how it also made you think what would happen if you woke up as someone you thought you wanted to be. Would you be happy? Would you miss your old life? It was a definitely one of my favorites of the year. We had so much "free reading" in July the plan is to do it again for August. Technically it is still Summer so we plan on getting in all the beach reading we can...even if its vicariously through our Kindles on our humid back porches with a misting fan as the closest thing we will get to an ocean breeze. Back in June I finally finished reading the best-seller, Me Before You, by Jojo Moyes, because I knew the movie as about to come out and I really wanted to finish the book before seeing it. Well, I still haven't seen the movie, but the book was amazing! 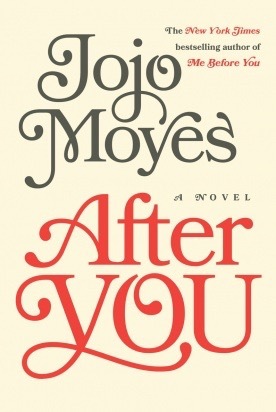 Because I loved it so much I knew I needed to read the sequel so I just picked up After You, also by Jojo Moyes.